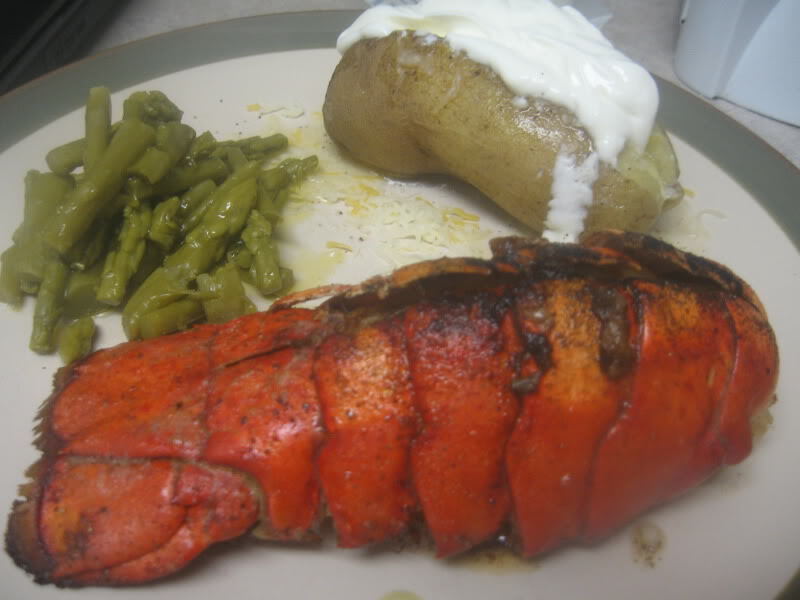 2.Place lobster tails on a baking sheet. With a sharp knife or kitchen shears, carefully cut top side of lobster shells lengthwise. 3. Pull apart shells slightly, and season meat with equal amounts butter, paprika, salt, and white pepper. 4. Broil lobster tails until red and lobster meat is opaque, about 5 to 10 minutes. Garnish with lemon wedges to serve. Use the other 1/4 cup of butter for dipping. Pro-tip: Don't use too much butter, and if you do, don't put the pan too close to the heat of the broiler. I set my oven on fire, after all.